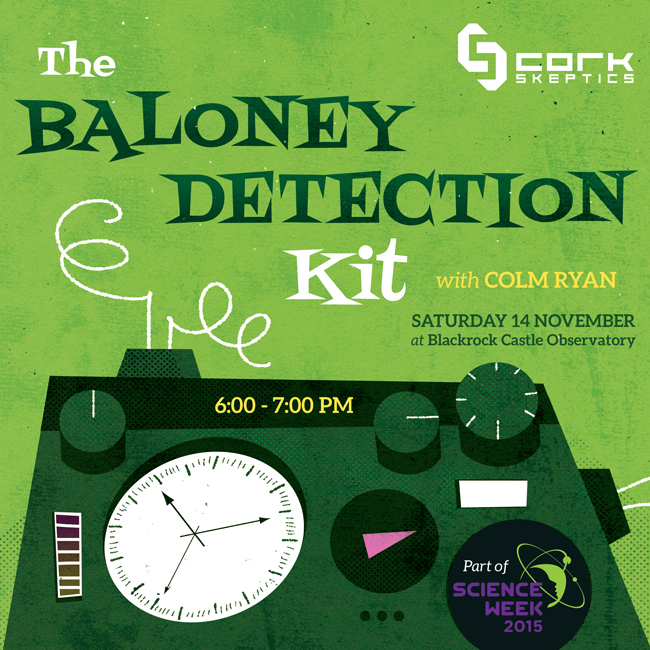 As part of Science Week 2015, Cork Skeptics present “The Baloney Detection Kit” — a furiously fast-paced introduction to skepticism! From 6 – 7pm on Saturday 14th November, at Blackrock Castle Observatory. Colm is the co-founder of Cork Skeptics, a group dedicated to the promotion of good science while challenging strange claims. 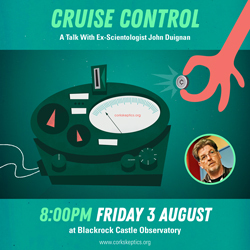 Founded in 2010 in Blackrock Castle, we host regular public talks with topics ranging from ghosts to nuclear power and financial scams. This event takes place in Blackrock Castle Observatory, Cork City from 6pm on Saturday 14th November. It is free to attend, and all are welcome. Categories: Alt Med, Events, Humour, Logical Fallacy, Paranormal, Pseudoscience, Science, Skepticism, Skeptics In The Castle, UFO, Woo | Tags: baloney detection kit, cork, humour, Logical Fallacy, outreach, pseudoscience, scepticism, science, science week, science week 2015, skepticism, talks, woo | Permalink.